5 Ways to More Be Energy Efficient This Summer! 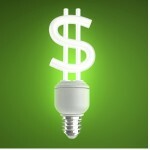 :Delfera Heating and Cooling Co.
5 Ways to More Be Energy Efficient This Summer! Energy bills can be at their highest during the summer months. To keep your system operating at its highest efficiency, try following these tips! Have your system inspected and cleaned once a year. This will keep your system running at its highest efficiency and prevent costly repairs. It is recommended that you replace your air filter once a month. Doing this keeps the airflow moving properly throughout your system, keeping your home cooler. A dirty filter can block airflow and cause costly repairs. While your system is working hard to keep your home cool, check the windows and doorframes for gaps that could cause air to escape from your home. You can use caulk to fill the cracks or purchase weatherproofing strips to seal the gaps. A programmable thermostat enables you to set a schedule which can help keep your bills lower. You can set your thermostat to increase the temperature while you’re sleeping or at work. Switch the direction of your ceiling fans so that they run counter-clockwise. This will force the cool indoor air down, helping the room to stay cooler. If your system is older, it may be time to get a new one. It is recommended to replace systems that are over 10 years old in order to improve energy efficiency. Want to schedule a free estimate? Call us today at 610-566-0900.